Built by J. Milton and Associates, Parque Towers is a new luxurious project located in the charming Sunny Isles, the city of sun and sea. This bay front condominium comprises two 26 and 29 story boutique towers with a total of 160 units per tower, with completion projected for mid. 2017. 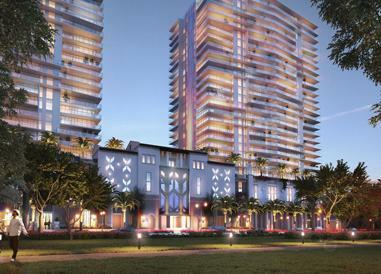 Having set the luxury service standard and hotel-style residential amenities, we affirm that the Parque Towers will be the ideal residential development to enjoy the sought-after South Florida lifestyle. 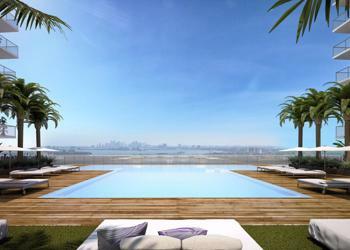 Parque Towers residents can savor their swimming-pool pleasures in five different ways. The Grand Pool Deck level features a large pool and sunning area, plus a deck-side lounge offering a full complement of liquid refreshments, served all day and into the evening. 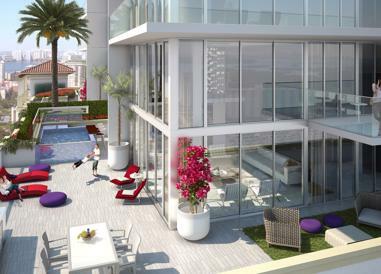 And for the favored few, Parque Towers penthouse residences will feature private rooftop plunge pools, for the ultimate in refined recreation. Residents can invite friends and family to stay in one of our on – site hotel guests suites. 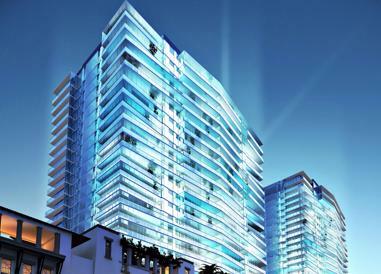 This luxury and convenience is only for the exclusive use of our Parque Towers residents. A dedicated recreational center featuring the latest and greatest in computer gaming, plus toys and games for kids of all ages. A great, safe place for Parque Towers kids to meet and greet. Parque Towers reinterprets and elevates the fine art of al fresco dining and cocktail service at its perfectly positioned pool deck area. Day or night, our Mediterranean-inspired approach to culinary artistry and liquid artisanry keep residents and their guests delighted and satisfied. Sq Ft Range: 1,799 - 2,400 Sq. Ft.